Back in May I was contacted by Lisa who asked me if I'd like to be a room designer for an upcoming website she was launching. I was excited about the opportunity so I jumped on board and have been collaborating with her ever since. The site launched yesterday and I'm excited to have you guys check it out! 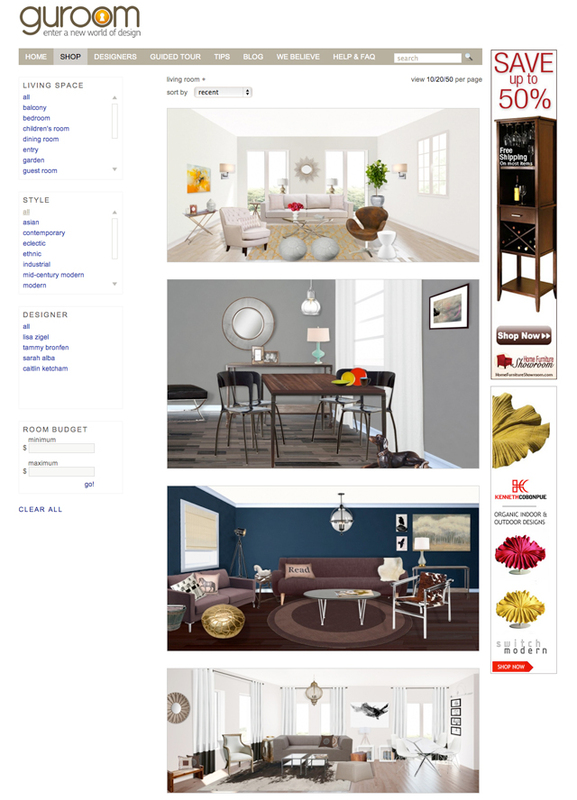 Custom mood boards from interior designers can cost a lot of money but Guroom's are free to look at and get inspired by! The best part about them? If you see an item on a board that you like, you can buy it right away without having to do a countless amount of Google searches for "gray tufted sofa" or "southwestern style rug" like I've done in the past when I've seen something I liked on a mood board. Go check out the site and see for yourself! 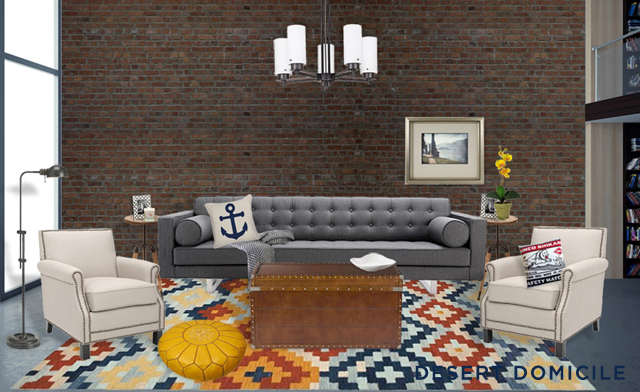 What do you think of the room I designed? Not bad for my first time as a real designer, huh?